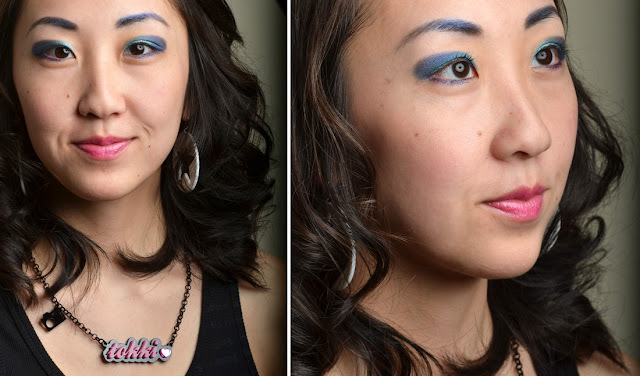 Above is the look I wore to the Chicago Auto Show last month. 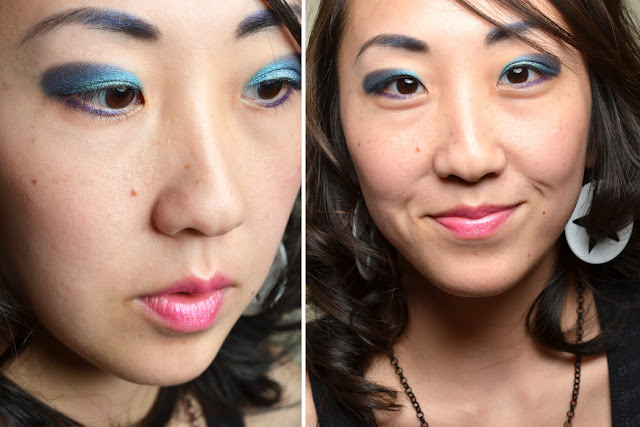 It's a rounded and blue-based look, where the appearance OCC's Mirrorball is very subdued. Hit the jump for more photos and a list of products used! Tarte Mascara in Lights, Camera, Lashes! These photos were after we saw the show and ate dinner, but nonetheless, I think the makeup fared well in terms of staying intact. My favorite cars from the show were the Lexus LFA, and the ever popular Lamborghini Murciélago. I've been to auto shows in Maryland before, but Chicago's was much bigger with more terrain setups than I had ever seen before. They also had four LFAs on display, as three of them belonged to local owners. I believe Lexus only produced about 500 total, and so, most (if not all) other cities only had the one company stock car for display at the their shows.